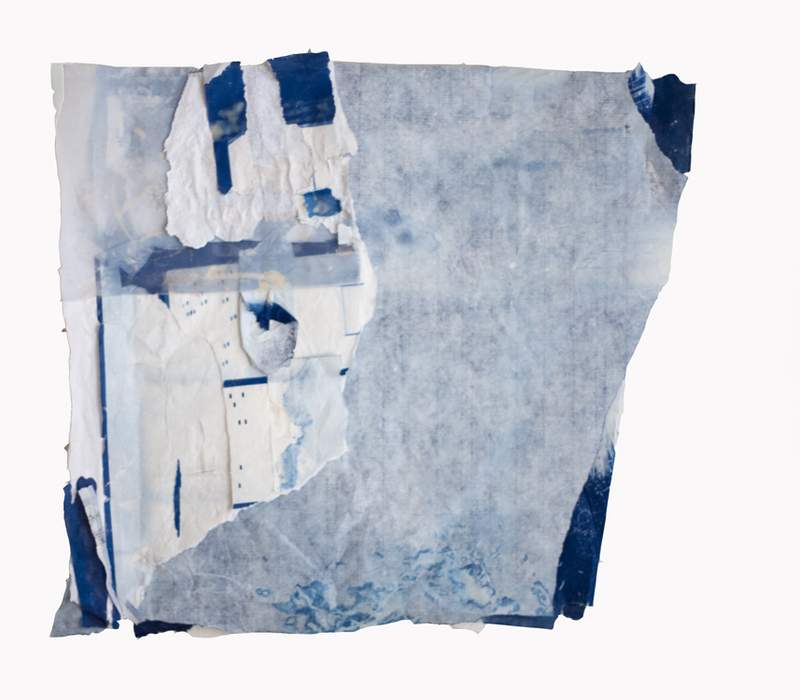 “Untitled 1” mixed media, 2013. 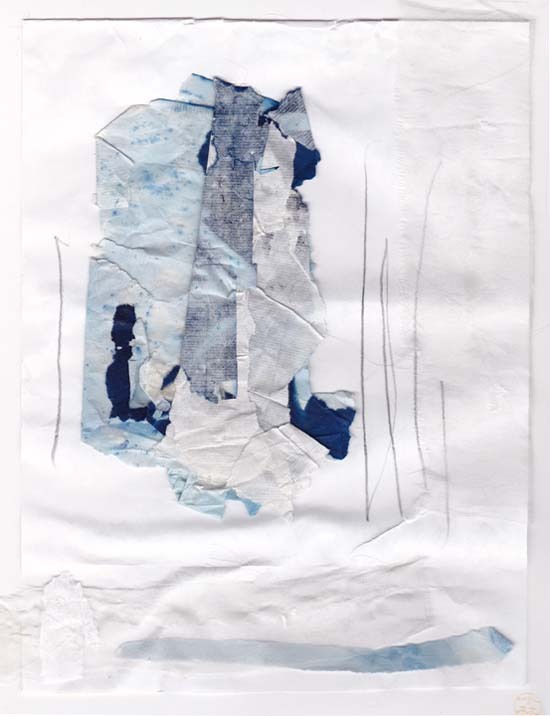 “Untitled 2” mixed media, 2013. 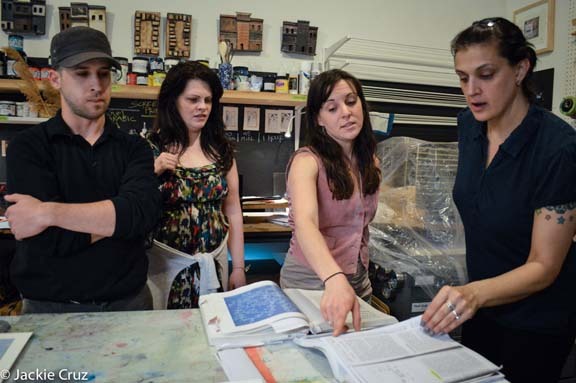 Join us for The Newark Printshop inaugural exhibition PRINTED IN NEWARK, co-curated by Lisa Conrad and Jacqueline Cruz at the Gateway Project Gallery located at 2 Gateway Center. 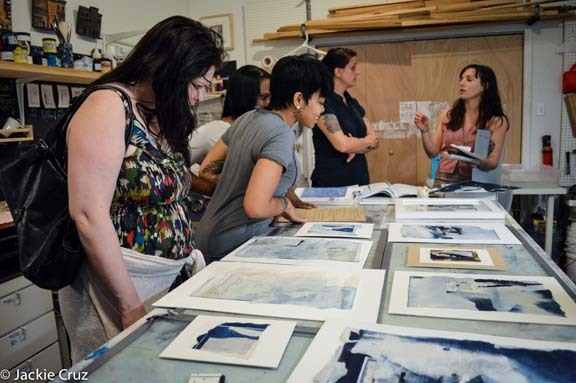 This exhibition will feature artwork created at the Newark Print Club, a weekly open studio in which local artists and printmakers of all levels are invited to explore the fine art of printmaking. The opening reception will be held on Thursday, May 30th from 6-8pm. 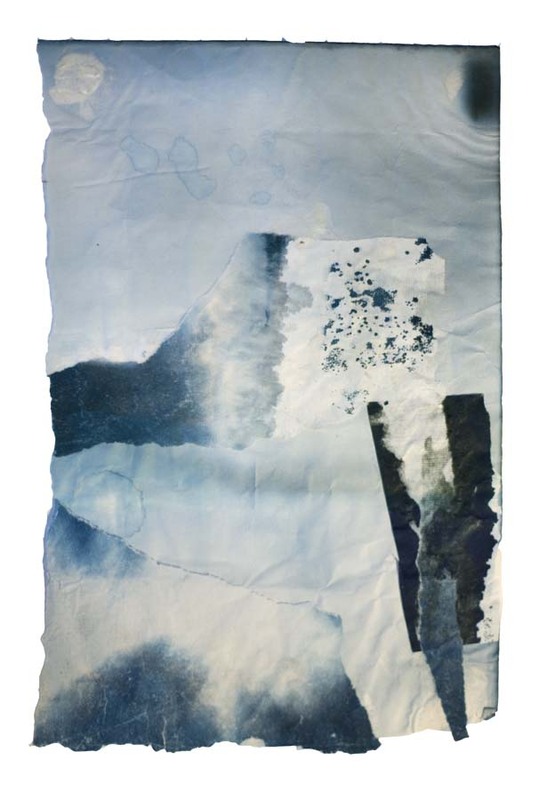 This entry was posted in current events, cyanotypes on May 29, 2013 by Colleen Gutwein. 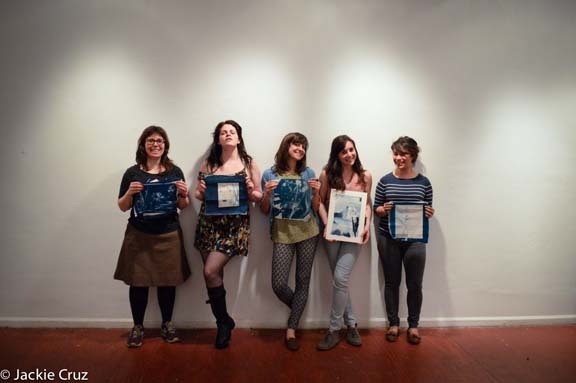 We had a great night at Newark Print CLub on 5/1/13. 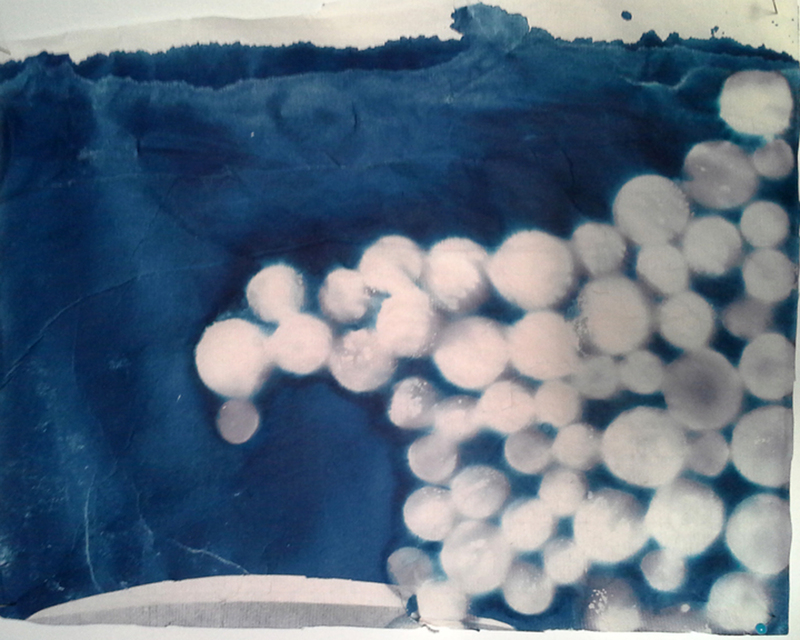 I gave a short lecture about the history of cyanotypes, followed by a workshop showing how to make them. Stephen McKenzie had donated a UV Light Box to the Newark Print CLub, and we were all able to experiment in making cyanotypes with the pre-treated paper I had brought. Thanks to Lisa Conrad for hosting the event, and Jackie Cruz for photographing. 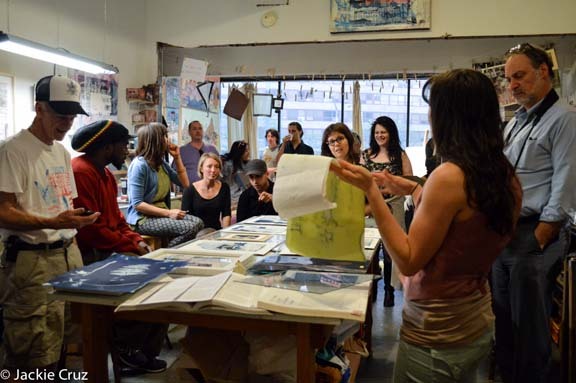 If you are interested in Newark Print Club, it is located at 585 Broad St. Newark, NJ. 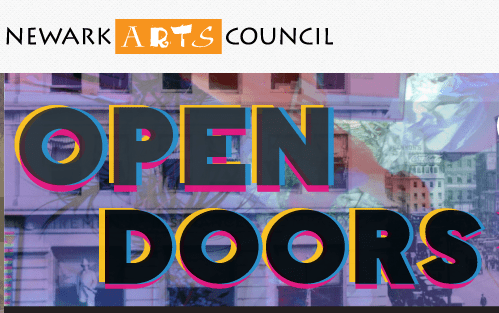 Open to the public on Wednesday nights, with a suggested $10 donation for materials. See more pictures from the workshop via facebook. 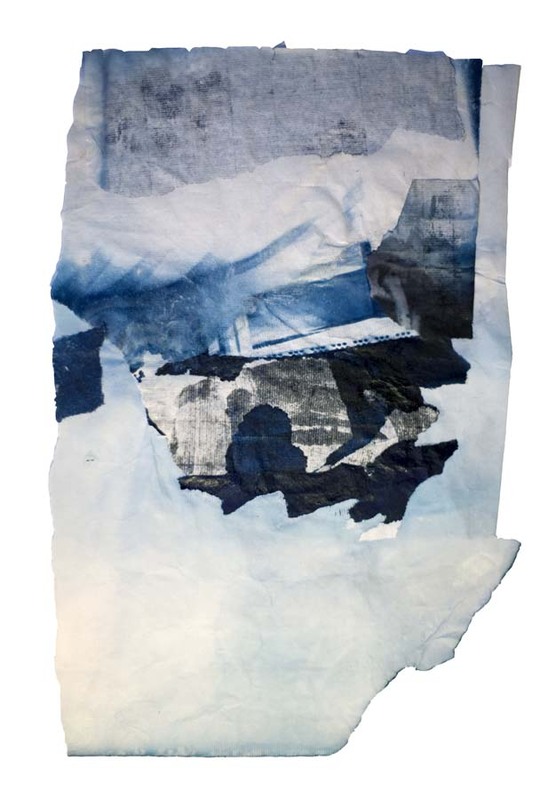 This entry was posted in current events, cyanotypes on May 14, 2013 by Colleen Gutwein.